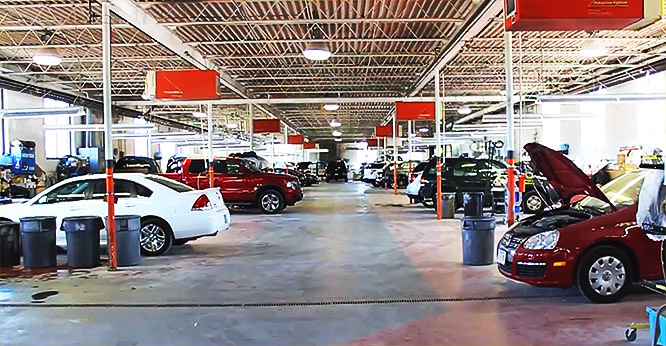 Quirk Auto Body is located in Quincy MA, and offers a state-of-the-art auto repair facility. The ASE certified technicians at Quirk Auto Body, a top Quincy MA auto body shop, work with the latest tools and equipment to properly diagnose your vehicle’s problems. The skilled technicians at Quirk Auto Body work with the newest DuPont refinishing products to ensure high quality. At our Boston MA area auto body shop, we also bake all painted items to ensure durability. Whether your vehicle is in need of routine maintenance or more extensive collision repair, the friendly and knowledgeable staff at Quirk Auto Body is prepared to help get your vehicle back in working order as soon as possible. Quirk Auto Body, a leading Quincy MA auto body shop, offer auto repair services for all automotive makes and models. If you’re looking for a great place for auto body repair, visit Quirk Auto Body. At our Quincy MA auto body shop, we are dedicated to providing quality repair services, customer satisfaction, and getting your vehicle back on the road! We also offer 24-hour towing services, so you’ll never have to worry about being stranded. Contact the Quirk Auto Body team at 617 249-5660.